LOS ANGELES — I first saw Saul Bellow in the early 1960s at a reading he gave one afternoon of his play “The Last Analysis.” The reading took place in a large, light-filled studio on the Upper West Side in New York, for an audience of invited guests. I was included because I knew the playwright/screenwriter David Rayfiel, who was then married to Maureen Stapleton, both of them best friends of my mother and step-father, Carol and Walter Matthau. 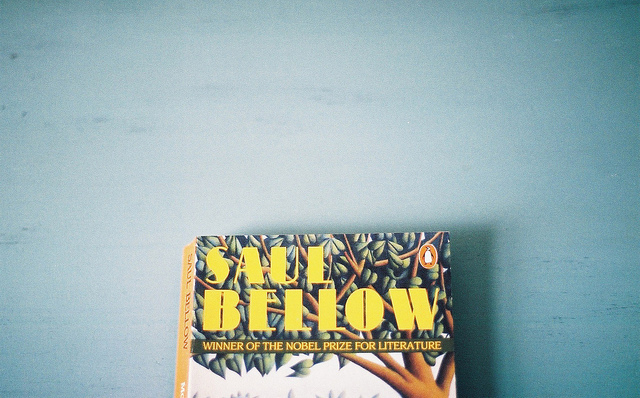 While I knew of Bellow, I’d read only a few things by him. David loved Henderson the Rain King, but after a chapter or two I found the breakneck invention, dazzling as it was, implausible. On the other hand, seeing Bellow read to the group as he sat behind a table was a pleasure. He was obviously enjoying himself, laughing at his own lines in something like the disarming way that Mort Sahl had when he did his stand-up holding a newspaper. In the fall of 1962, while briefly attending the University of Chicago, I went with my classmate Greg Bellow to his father’s high-rise apartment nearby our dorms. Bellow was recently married to Susan Glassman, a beautiful young woman who had been one of my sister’s teachers at Dalton in New York. There were one or two others in the living room when we arrived and we didn’t stay long, but I took away an impression of an engaged, animated man at the top of his form. I remember him referring jauntily to “this blond cannon ball.” I didn’t have a direct exchange with him and was surprised when Greg told me that his father said that I’d seemed depressed. I didn’t realize it was so obvious. Two decades later, I read Humboldt’s Gift as a possible movie project for Walter, who during the interim had become a movie star. Delmore Schwartz’s “In Dreams Begin Responsibilities” was a favorite short story and I was intrigued that Von Humboldt Fleisher was said to be based on Schwartz. But the novel exceeded any expectation I might have had. I loved it from start to finish. Beethoven’s Pastorale. I felt showered by the green, within. The characters in Delmore Schwartz’s own stories, better educated versions of the new generation in Odets’s play, their diction deracinated with learning, are in essence the same bewildered first American-born Jews. Scorning worldly success to embrace the culture their parents had no time for, they have something in common with the scholars of the shetl, while being less worldly in American terms than their immediate elders. But Bellow’s Charlie Citrine is a Chicago citizen, highly esteemed, with an easy fluency in the larger American world. Stalked by a young wannabe wise guy, Rinaldo Cantabile, even under duress he manages to maintain his equilibrium as he tours his Chicago circuit of high and low players, while living through an acrimonious divorce. (Bellow’s marriage to Susan Glassman was short-lived with a bitter break-up). In fact, the novel would have made a good vehicle for Walter, who was Bellow’s near-contemporary and likewise at his peak. They knew each other from the period of “The Last Analysis,” which Walter had read, ultimately passing on an offer to play the lead. Bellow had remarked at the time in Yiddish (which Walter understood): “Never show a fool a first draft.” But in the meantime he’d won the Nobel prize. The screen rights to the book, it turned out, had been optioned by the actor and director Sam Wanamaker, who had written a screen adaptation. Walter sent me the script, which included periodic interludes in which Charlie Citrine broke the fourth wall and addressed the audience in passages taken directly from the book — but I thought it mostly missed the comedic high points of the novel. Through Walter’s agent at William Morris, a meeting was set-up between Wanamaker and me in Los Angeles. I’m not sure what the thinking was, but Hollywood went into action and I went from Bolinas, our Bohemian enclave in Northern California, and flew first class to L.A., where a room had been booked for me at the Beverly Wilshire. There were flowers and candy from the manager in the room when I arrived. A ruggedly handsome man, Wanamaker, like Bellow, whom he knew, was a Chicago native and Jewish, but he had a different style. An anglophile, when we met at the roof garden of the Beverly Wilshire for tea, he presided over the ritual with great politeness and finesse. The outcome of our meeting was that I was to write a treatment outlining my ideas, and we would go from there. Since I knew Walter was behind the assignment, I pulled out all stops and wrote a full-length screenplay in a week. To avoid a potential lawsuit, he said, Wanamaker refused to read the script — and the project was unceremoniously dropped. I learned later from Walter that he had liked the blocks of monologue in Wanamaker’s script. In 2000, I happened to be in Boston for several days, and went to hear Bellow read at Harvard in a big, packed-to-the-rafters venue. Now in his eighties with a new wife and a new baby and looking fragile, he read from Ravelstein. Walter died that summer, having a few years earlier made a movie, I’m Not Rappaport, written and directed by Herb Gardner, that perhaps contained some of the density and heat that he’d liked in the Wanamaker script of Humboldt’s Gift. I’m not sure he ever read the novel.